Engraving is FREE on all trophies and awards, so it's good to know the prices you see are the prices you will pay without any hidden extras. Email your engraving details to us by choosing Option 1 during the ordering process. Please see the EMAILING TEXT DOCUMENTS section below for acceptable file types. Use the Online Form by choosing Option 2 and simply follow the prompts during the ordering process to type your engraving directly in the form provided as you order. 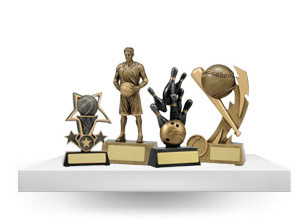 Our team will expertly engrave the information you have provided onto the award or trophy. 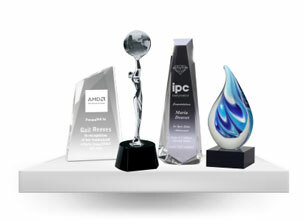 We are confident that you will be very happy with the engraving quality of the awards that you order. All engraving text will be centred in the area it is to go on. The size of the text will depend on what our experienced engravers determine looks the best, the size of the space available and the amount of engraving you require. We use high quality engraving materials and state of the art engraving technology to create beautiful results. *Important* Note that for Corporate Awards we will email you a proof of the artwork for your approval before we proceed with the engraving process. If we do not get a response from you within 2 business days, we will assume there are no changes to be made and we will go ahead with the work to ensure we meet your deadline. AwardsandTrophies.com.au quite often engraves awards for our customers in foreign languages. Because of the extra time taken by us to do artwork proofs and award layouts in languages and scripts that we don't understand, we charge a fee to cover the extra time it takes to make sure the award is engraved perfectly (after all, we guarantee it!). The surcharge for non English languages (such as French, Italian etc) is 10% of the total order value, while the surcharge for non English and non Latin scripts (such as Chinese, Thai etc) is 20% of the total order value. We can also accept (.jpg) JPEG images or (.bmp) Bitmap, however in most cases it is more difficult to achieve a good result with these types of files. You can easily find out what format your image is by hovering your cursor over the unopened file; a small information box will appear which will include the image type. 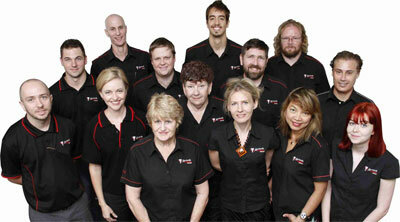 We recommend that the image provided by you be 300 dpi or greater. Generally images smaller than 20kb don't have enough quality. You should check the quality of your image before sending it through to us by enlarging it on your computer screen. If it's really blurry, it's going to engrave like that. The better quality image you can provide us, the better it will look engraved. Logos that are provided to us in a low quality format often require us to 'optimise' the image (this involves turning the logo to grayscale, bitmapping and then tracing the image) so that it can be engraved. Whilst we make every effort to improve the quality of the original image, it is difficult to do if starting from a poor quality image in the first place. 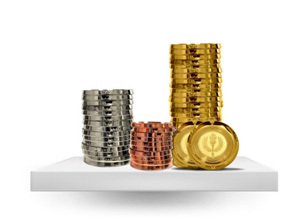 You will not pay any extra for logo set-ups, so as with text engraving, you know there are no hidden extras. Our competitors usually charge a fee of between $50-$100 to set-up your logo. 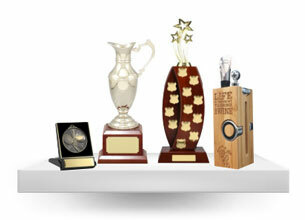 They say their fee covers the time involved to convert the logo into an engravable format; however, at AwardsandTrophies.com.au we don't charge any fees because we ask that you provide your logo in a format that is already compatible with our software, and this keeps the price down for you. If you wish to place an order that requires a lot of engraving information, it is possible to email your engraving information to us (by choosing option 1 during the order process) in an attached text document. Just set out the document in an easy to read format with so we can easily determine your requirements. Lost for words? Don't know what to write? Here are some suggestions for engraving to help you get some ideas. Suggestions for Line 1: "Award Type"
Suggestions for Line 2: "Acknowledgement"
Suggestions for Line 4: "Inscription"